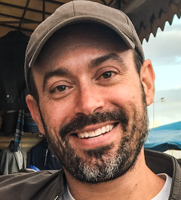 Steve Clack is a documentary filmmaker, digital storyteller, and educator. Born and raised in the town of Elmira, New York, USA, he had led workshops on dealing with prejudice at youth leadership conferences while in high school, and went on to study psychology at the University of California, Berkeley. Graduating in 1996, he traveled and lived abroad for the next several years, experiences which greatly influenced and expanded his worldview. Returning to the U.S. he earned a Masters of Fine Arts degree in Integrated Media Arts (a multimedia activism program) at the City University of New York, Hunter College, with an emphasis in documentary filmmaking. He subsequently freelanced in the field of video production for ten years, working on television shows, commercials, and a lion’s share of documentaries. In 2014 he founded the arts educational organization, Bent Marble, and is currently traveling internationally offering free documentary workshops. His goal is to inspire others to embrace the technological tools they already possess, get creative, and share their stories with the world. Steve presenting at the Zanzibar International Film Festival. A National Board of Review grant winner, Steve has screened his works at festivals and venues including the Queens International Film Festival, the Indo-American Arts Council Film Festival, the Zanzibar International Film Festival, Anthology Film Archive’s New Filmmakers’ Series, and the Queens Museum of Art. Often motivated by the desire to better understand his world, and himself, his style of storytelling is both deep and playful, using personal reflection and ample humor to tell the tough tales of life with a smile. 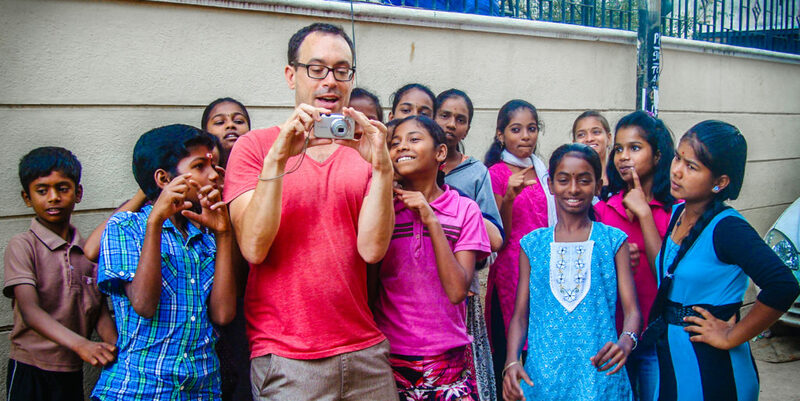 Steve with students at Ashwini Charitable Trust, Bangalore, India.